Below you can view all the condos for sale in the Antiquity subdivision located in Cornelius North Carolina. 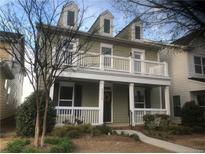 Listings in Antiquity are updated daily from data we receive from the Charlotte multiple listing service. To learn more about any of these condos or to receive custom notifications when a new property is listed for sale in Antiquity, give us a call at 704-705-8709. Adjacent retail complex features Grocery, Medical/Dental offices, and other specialty stores. MLS#3497474. Berkshire Signature Properties. Adjacent retail complex features Grocery, Medical/Dental offices, and other specialty stores. MLS#3494807. Berkshire Signature Properties. Enjoy the live, work, play lifestyle in Antiquity! ! MLS#3487325. Keller Williams Mooresville. THIS IMMACULATE HOME IS A MUST SEE AND READY TO MOVE INTO TOMORROW!! Thank you! MLS#3489469. Legg Realty Inc.. This is easy living, just steps from shopping and downtown Cornelius. MLS#3488936. Nestlewood Realty, LLC. Walk to the shoppes, restaurants, Starbucks, grocery. MLS#3489016. RE/MAX Executive. Antiquity's adjacent retail complex features Grocery, Medical/Dental offices, and other specialty stores. MLS#3479883. Berkshire Signature Properties. 2-car rear load garage. Walk to new shopping & dining! MLS#3247147. Homes Charlotte, LLC. Seller is a licensed NC broker. MLS#3475810. Allen Tate Lake Norman. HOA fee includes basic internet, cable TV and phone, as well as exterior maintenance. MLS#3470986. Wilkinson ERA Real Estate. Antiquity features walkability to Harris Teeter, shops and restaurants. Community pool and walking trails. MLS#3469213. RE/MAX Executive. Antiquity features walkability to Harris Teeter, shops and restaurants. Community pool and walking trails. MLS#3469372. RE/MAX Executive. Just Beautiful! A Must See to Appreciate! MLS#3468911. Southern Homes of the Carolinas. OPEN HOUSE this Saturday, 01/26 from 2-5pm. MLS#3464237. Keller Williams Mooresville. $500.00 Home Warranty Provided By Seller! MLS#3464585. Newport Properties.